What do you call a weekend-long meet in Amsterdam for Eve Online players? Actually, don’t bother coming up with an answer, as developer CCP Games has already nailed it: Evesterdam. While there were no space cakes at this year’s event there were plenty of spaceships, and that was enough to break attendance records, with over 350 fans joining up in the Dutch capital to share war stories, chat to developers, partake in tournaments, and attend panels. This year, Evesterdam is the first step on a world tour called Eve Invasion, which will take CCP’s space MMO to the likes of Sydney, Toronto, Vegas, and St. Petersburg, before a no-doubt raucous London finale in November. 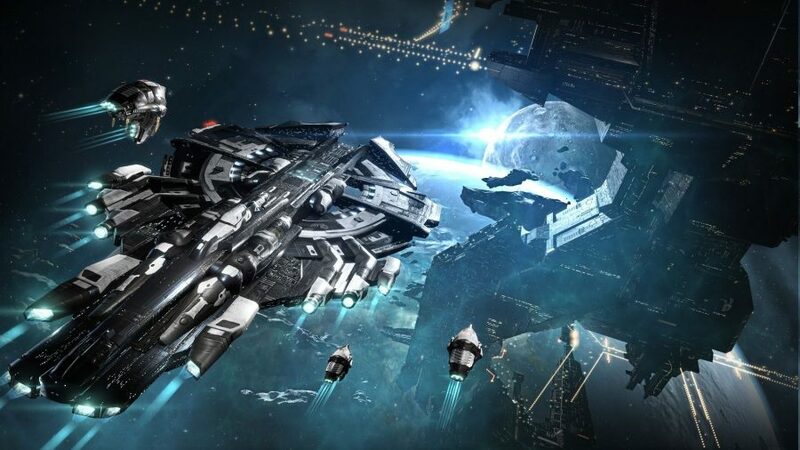 The ambitious vision for the game that CCP presented over the weekend made it clear that, after a remarkable 16 years since launch, the studio is poised to shake up Eve’s universe in an unprecedented manner this year. 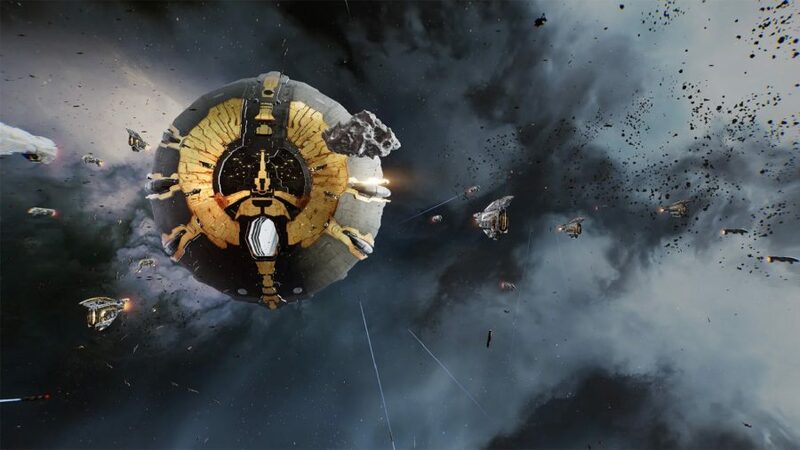 Now, if you haven’t been fully keeping up to speed with all the spaceship shenanigans – and let’s face it, the game launched in 2003, so I’ll forgive you for that – Eve Online continues to regularly make headlines for the incredible, emergent stories it conjures up. 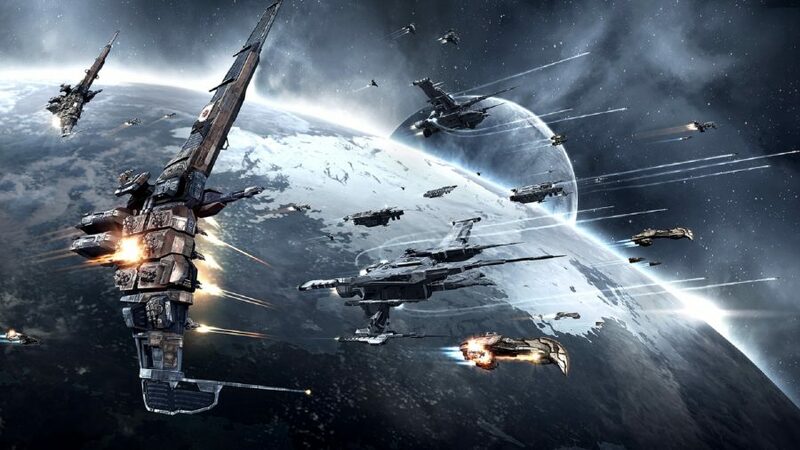 From sentencing hackers to menial labour (virtually, that is), to staging public executions on dastardly bots, Eve Online is always fascinating to read about, regardless of your experience with the game. So whether you’re a fleet commander or a total newbie, it doesn’t matter, as the following roadmap of massive updates and incoming content will give you plenty or reason to gaze at the stars, daydreaming about where CCP’s unpredictable venture will go next. 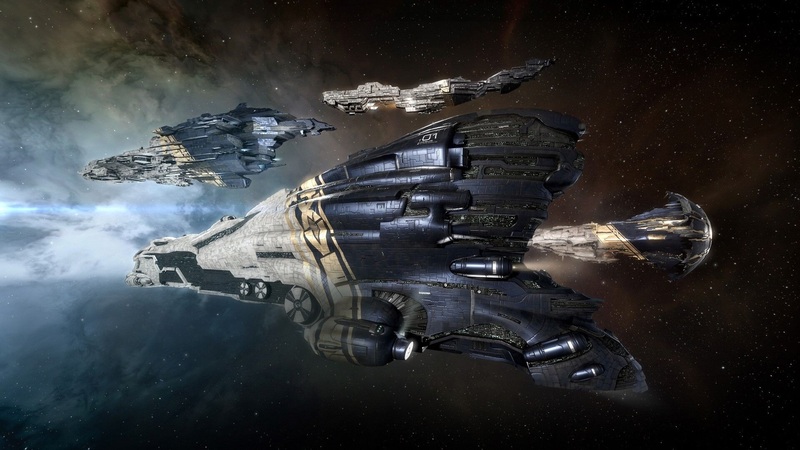 As the first part of a huge new storyline, Eve is getting three Tech 2 Triglavian vessels in spring – the Nergal Tech 2 Assault Frigate, the Draugur Tech 2 Command Destroyer, and the Ikitursa Tech 2 Heavy Assault Cruiser. The reveal of that last one in particular prompted a round of gleeful gasps during the Evesterdam keynote. The Eve community would be well-advised to take these threats seriously when they start taking shape in the coming months. 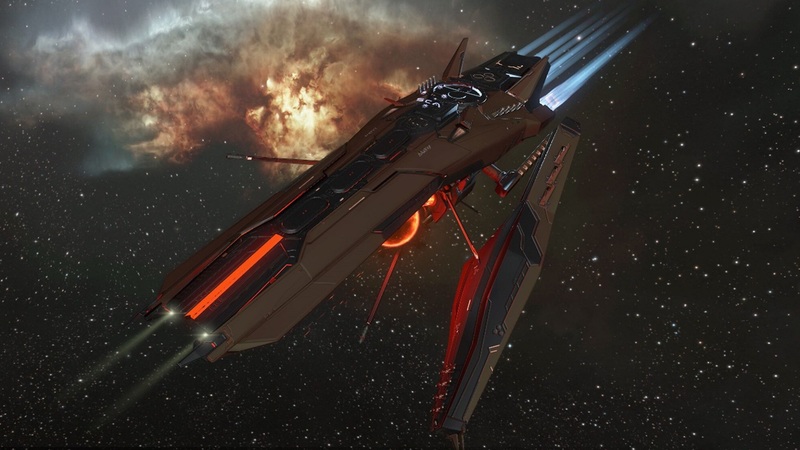 Eve Online will be shifting over to DirectX 12 soon. These new software-building tools will have wide-ranging effects on the game. Not only will DirectX 12 let CCP leave behind legacy issues such as poor texture compression and incompatible shaders, but as Finnbogason says, “it will open up that treasure chest of tools. There will be so many new possibilities for game design and art.” Expect more news on what exactly emerges from that treasure chest further down the line. In terms of fresh content, the most noteworthy is new large-scale PVP mode called Eve: Aether Wars. It’s already been stressed tested at GDC 2019, where a total of 14,274 pilots – including AI pilots – engaged in seamless, real-time combat. Incredibly, close to 15 million missiles were fired in that battle alone. CCP is working in conjunction with Hadean to deliver Aether Wars in the coming months. Eve is also getting a new Activity Tracker. This visualisation tool allows you to chart your progress in New Eden. It’s grouped into five headings: industry, exploration, resource harvesting, encounters, and combat. This will let you see, for instance, how much moon ore you’re harvesting, or what your hit rate is during battles, and ultimately reexamine your role in the universe. There’s nothing like a bit of perspective. For new Eve Online players there’s something called ‘UI pointers for mentors’. This feature lets you link directions to UI elements in chat, allowing experienced players to guide newbies by highlighting specific parts of Eve’s infamously intimidating menus. May is the proposed rollout month for that, and it’s one of the many changes that bend and mould Eve into a more appealing shape. As well as UI pointers, other quality-of-life improvements range from solving the issue of Plex vanishing from wallets, to adding a new jump tunnel effect when warping. And CCP continues on its bot-slaying escapade: this year the company has already banned 2,100 accounts, and seized one trillion ISK. 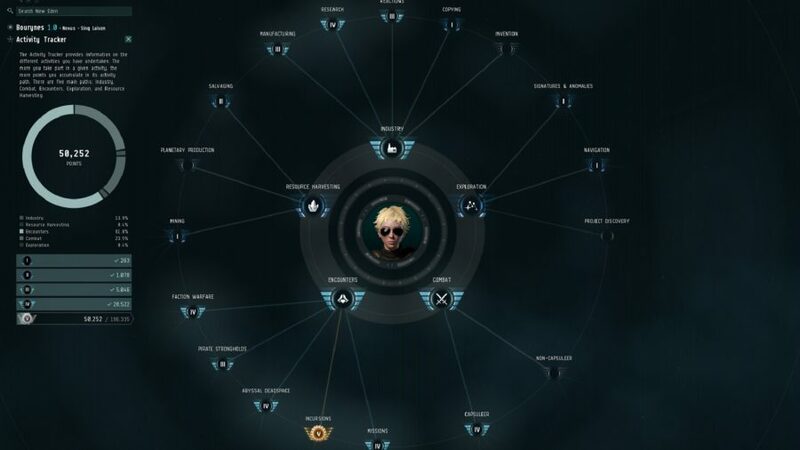 With an entirely new graphics engine on the horizon, an upcoming large-scale PvP mode capable of supporting tens of thousands of combatants, a revised UI to welcome new players, and numerous quality-of-life changes, Evesterdam demonstrated how Eve Online will fly a course towards even more greatness.